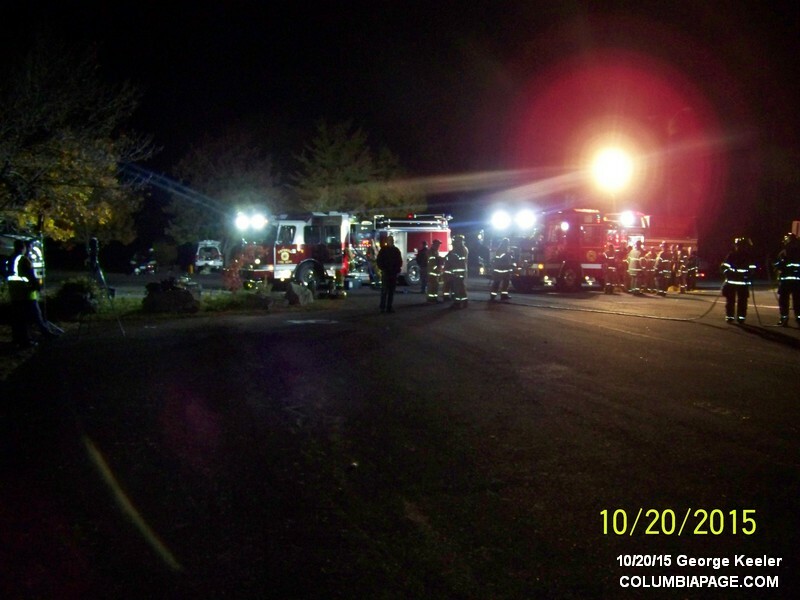 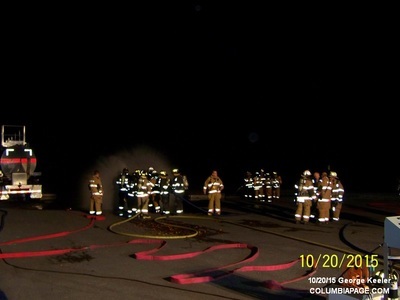 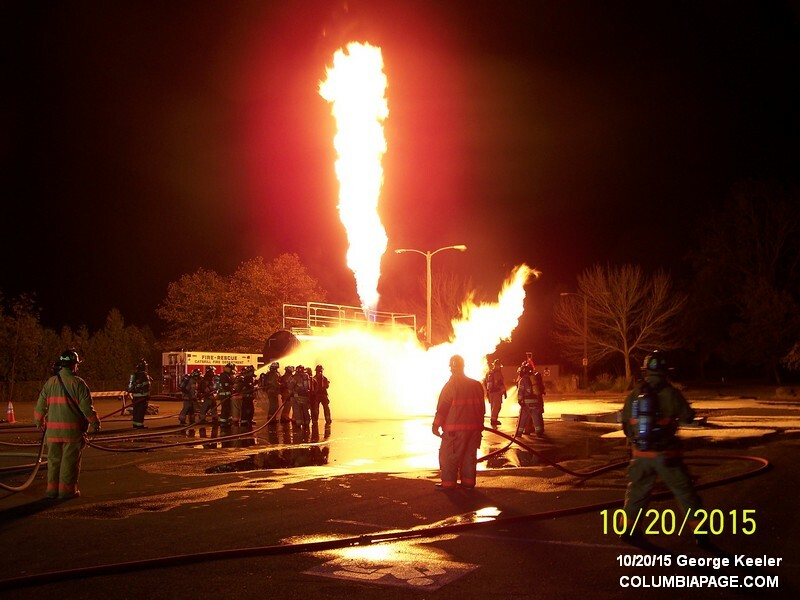 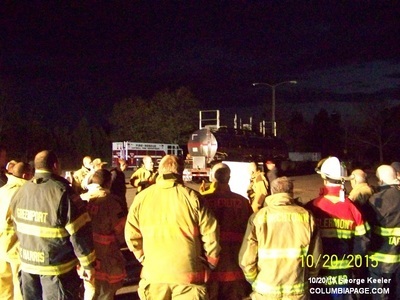 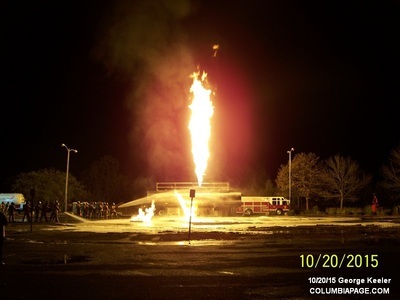 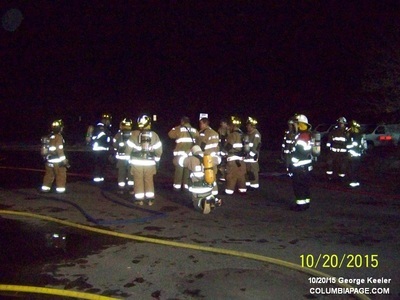 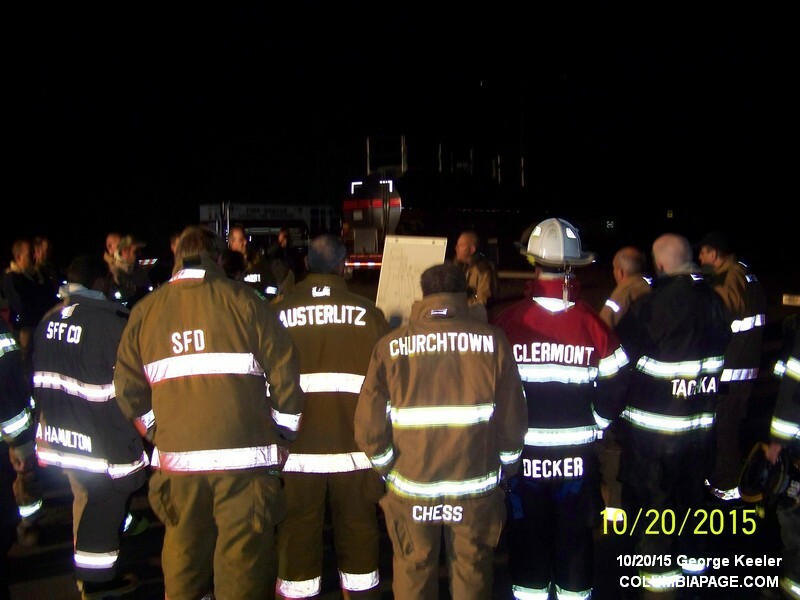 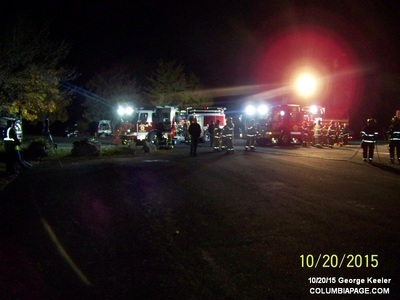 A recent fire school was held at Columbia Greene Community College and in Greene County. 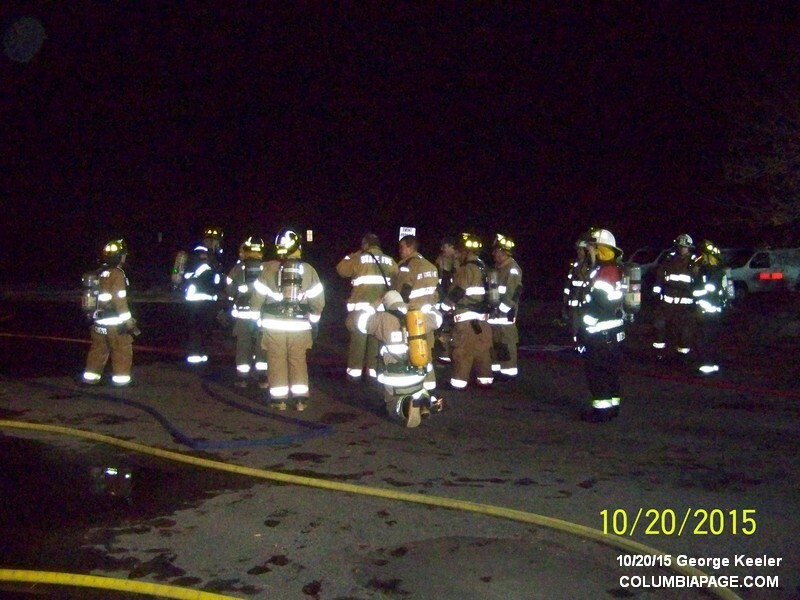 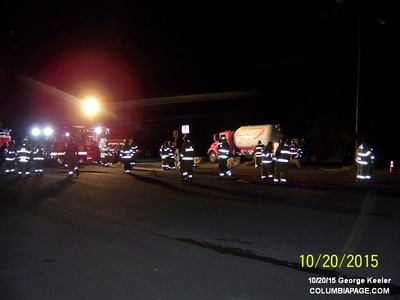 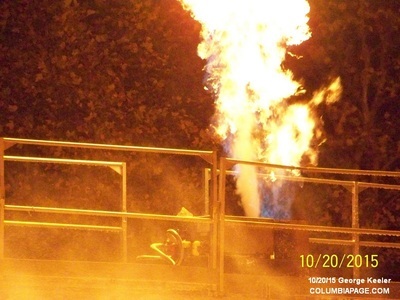 The course was sponsored by Columbia and Greene County Fire Coordinators office and included members of the Joint Haz Mat Team, as well as firefighters from multiple Columbia and Greene County fire Departments. 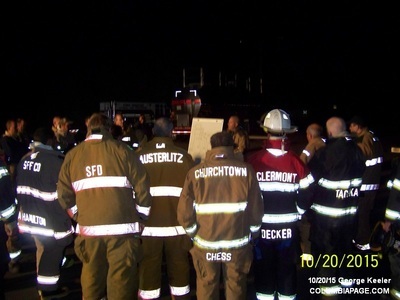 There were also discussions regarding crude oil trains and the resources available both locally and regionally for response to flammable liquid fires. Those resources include caches of foam and associated equipment located in Columbia, Greene, Albany counties as well as OFPC's resources in Guilderland. 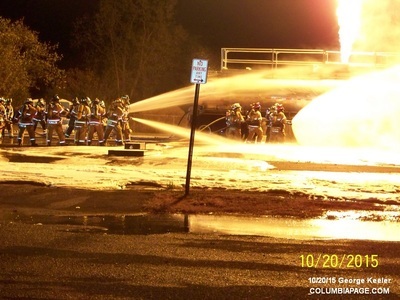 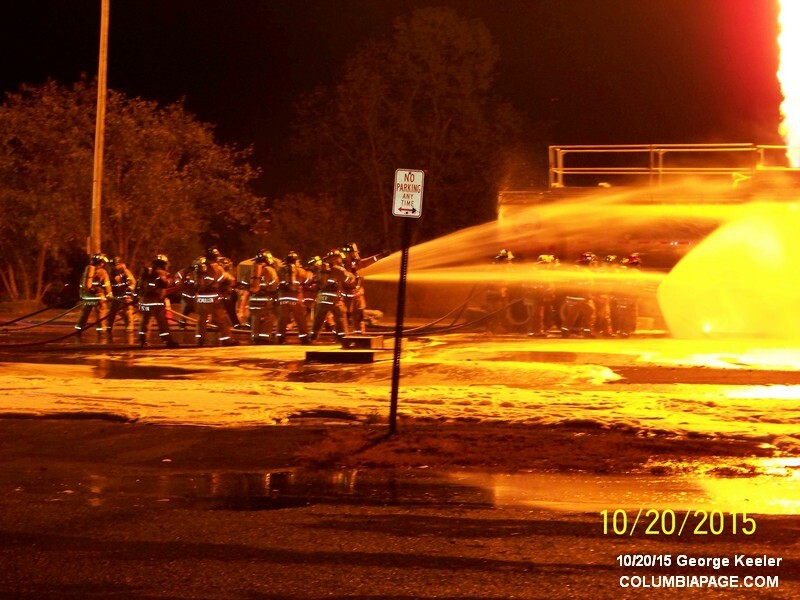 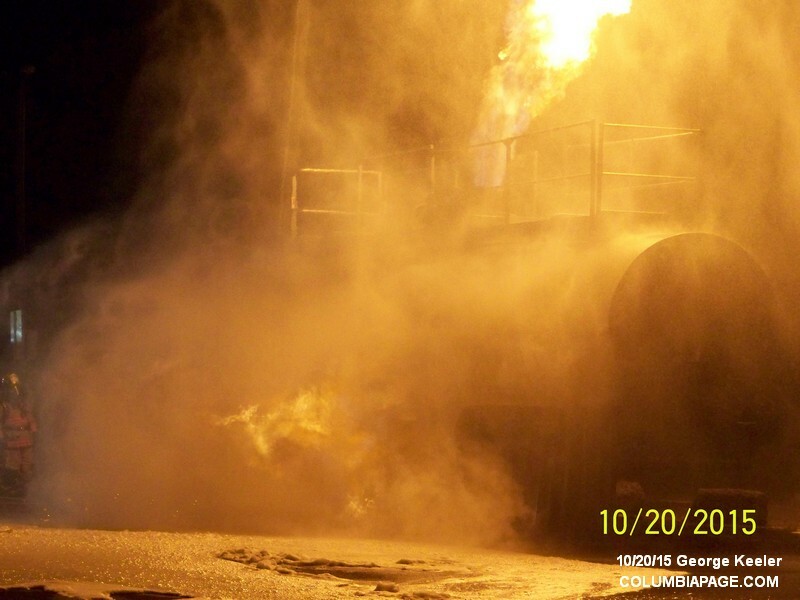 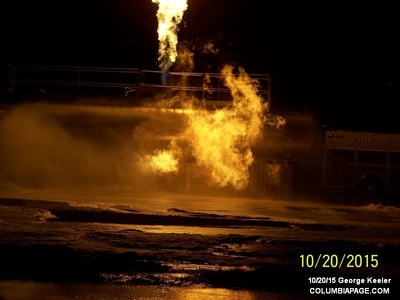 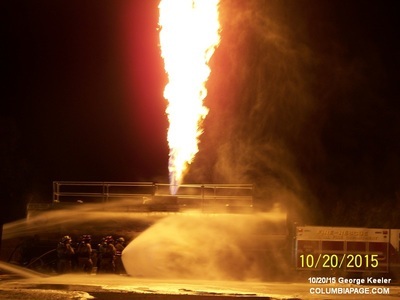 The photos below show Live Fire Class B Foam Operations. 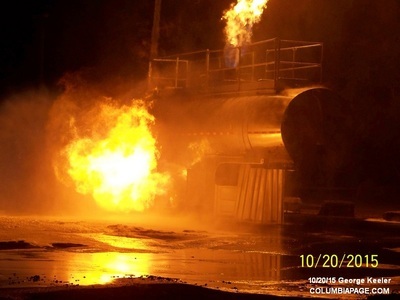 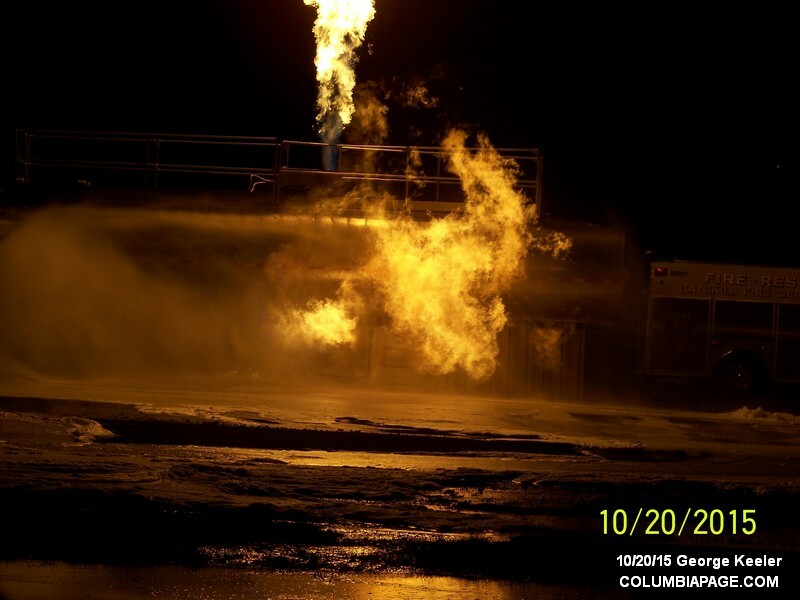 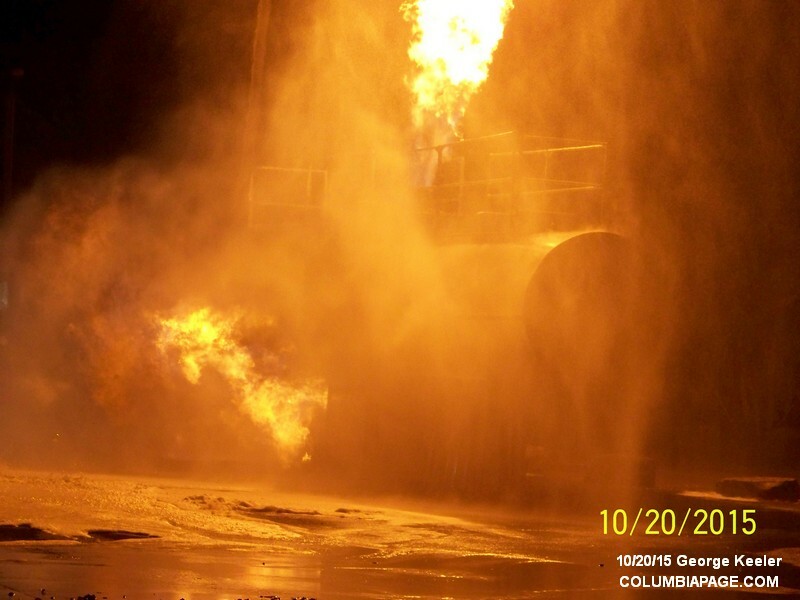 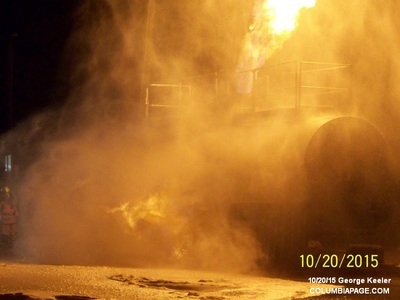 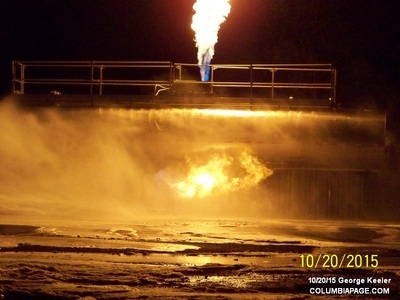 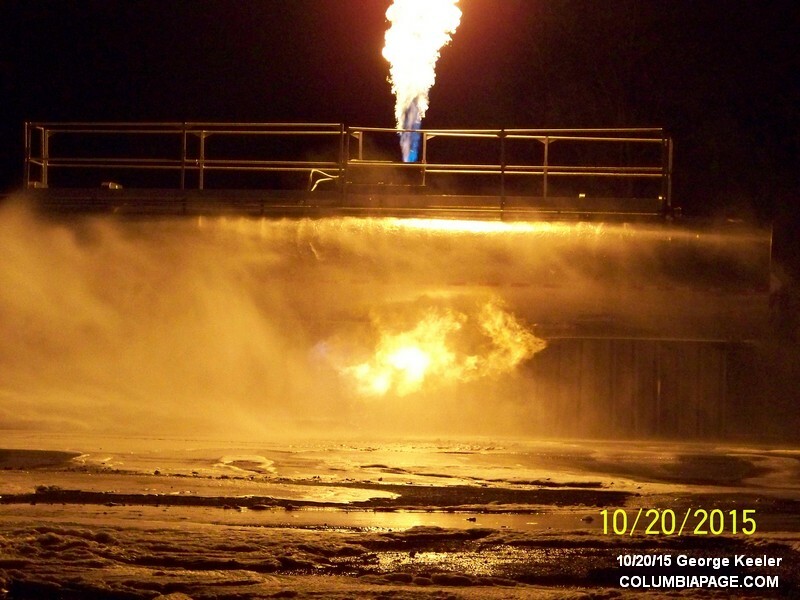 This course provides practical training for mitigating spills and fires involving fuel grade ethanol. 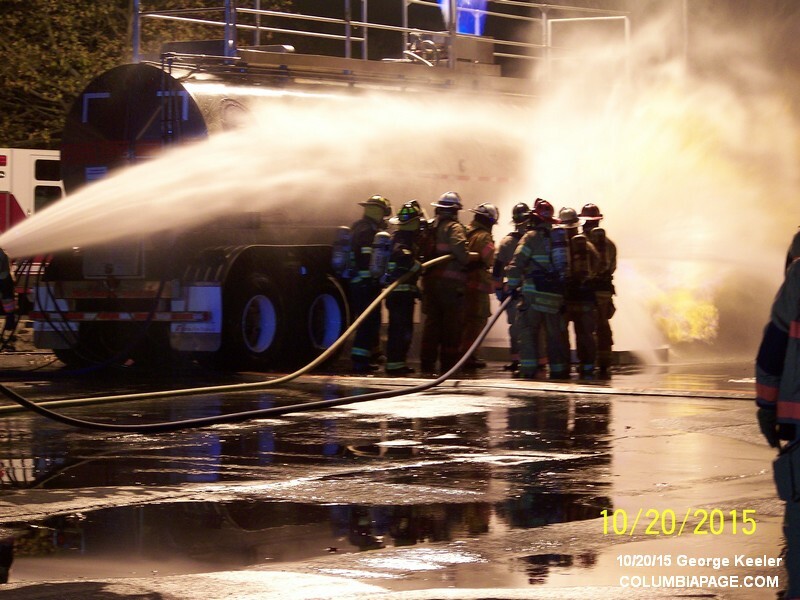 Topics covered include: overview of ethanol as a fuel; use of class B foam, with emphasis on alcohol resistant foam concentrates; foam nozzles and proportioning equipment; and determining foam needs for various scenarios. 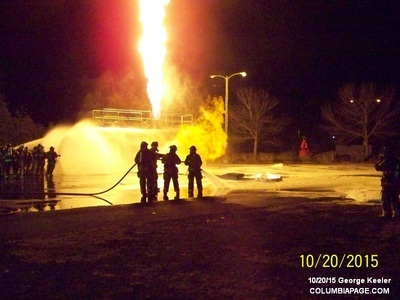 There are also hands on practical activities involving vapor suppression with finished foam, confining spills, and live fire extinguishment. 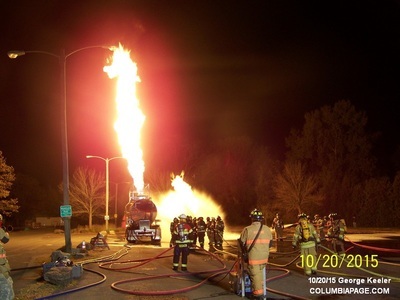 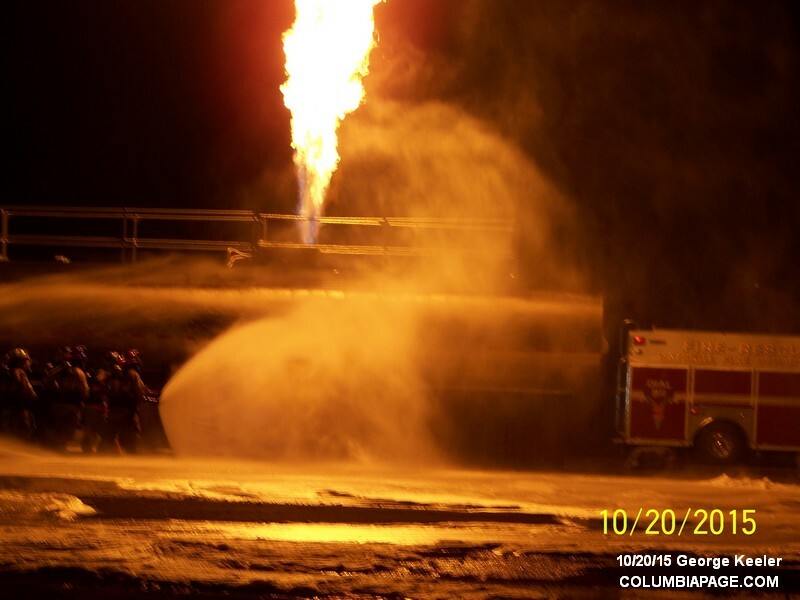 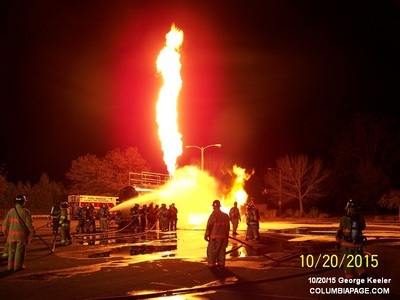 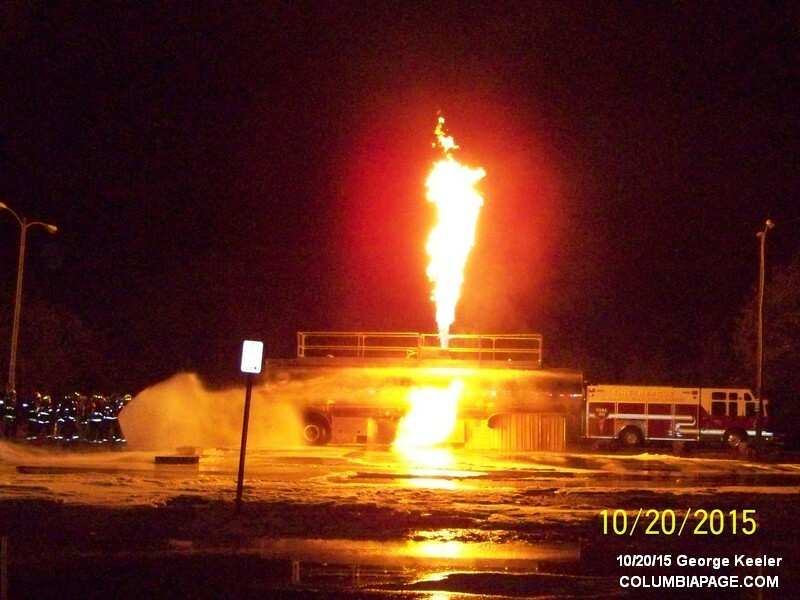 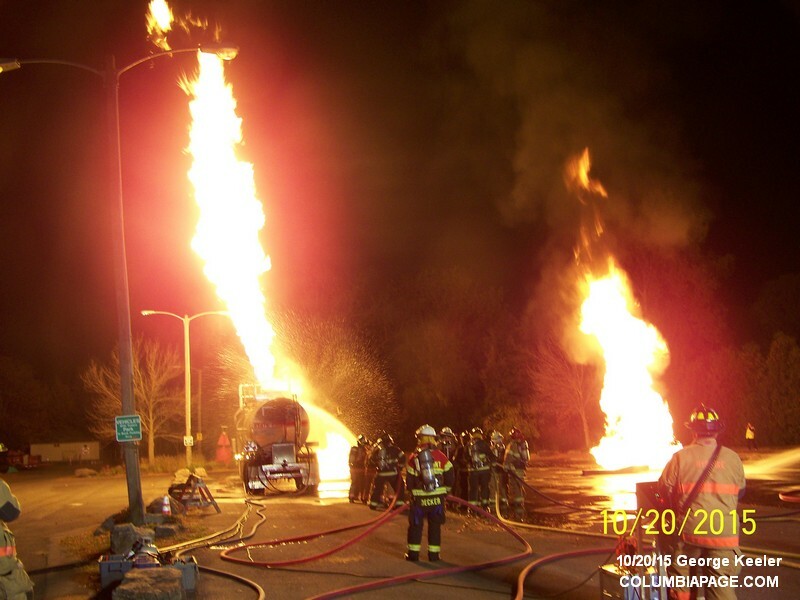 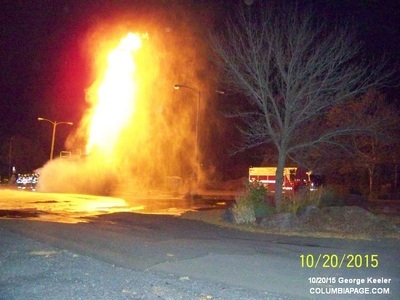 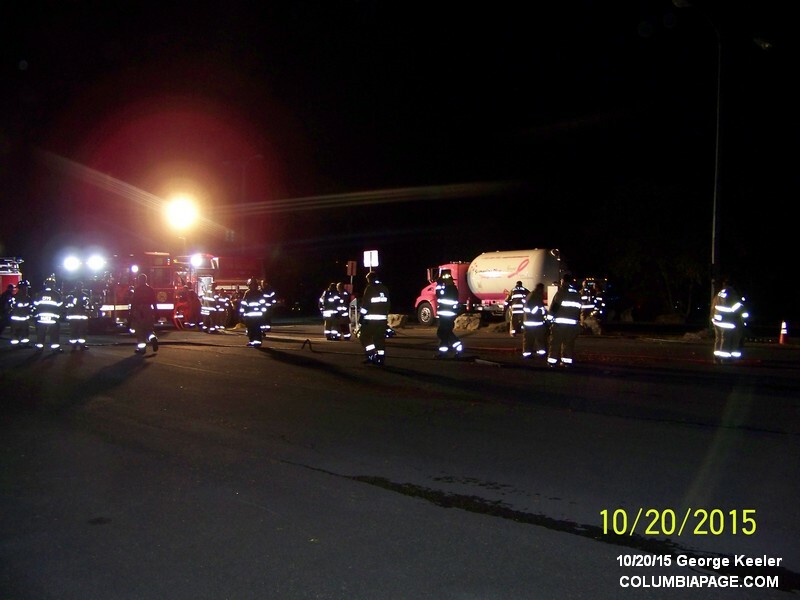 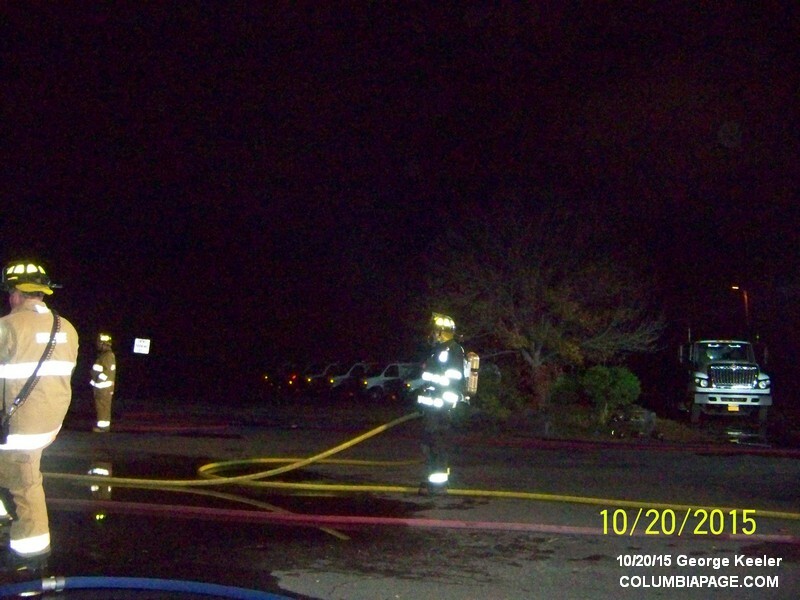 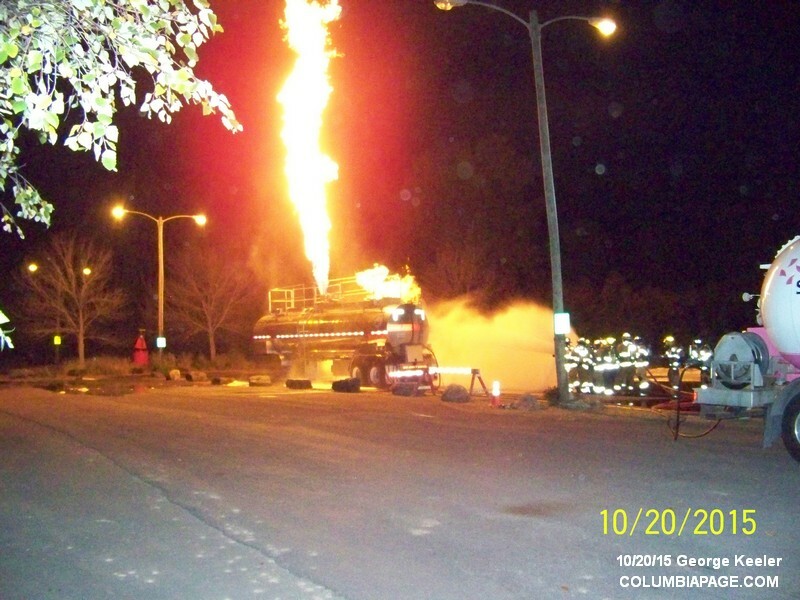 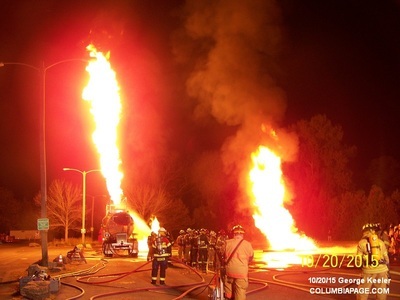 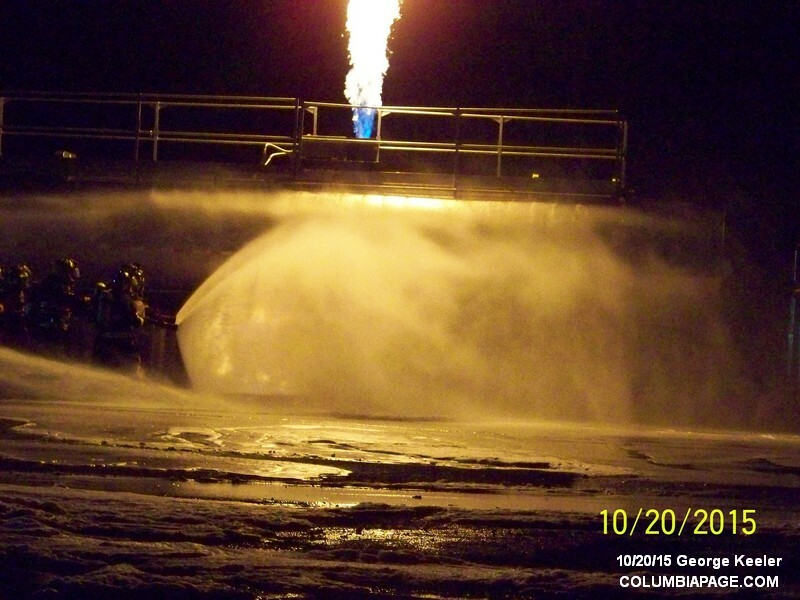 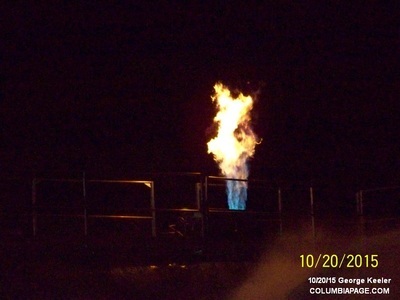 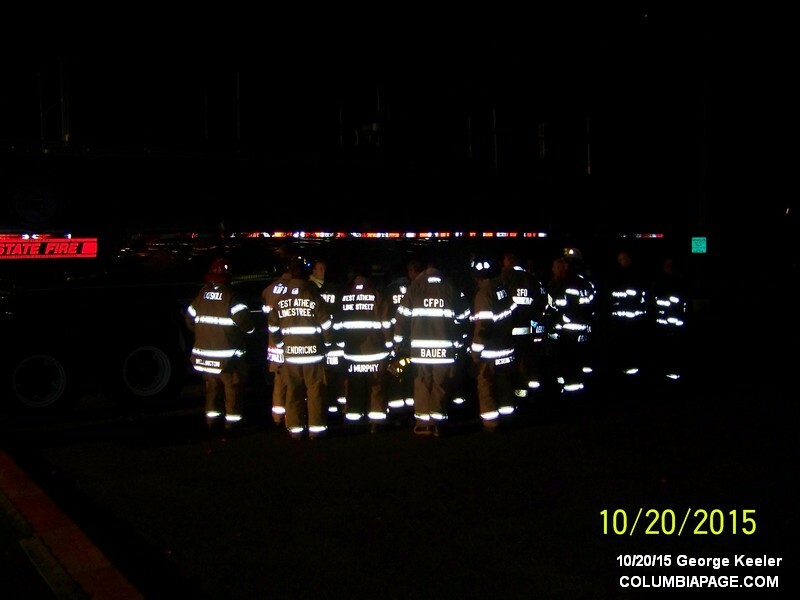 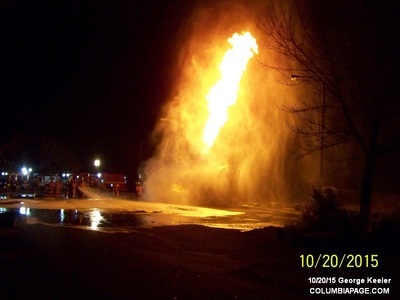 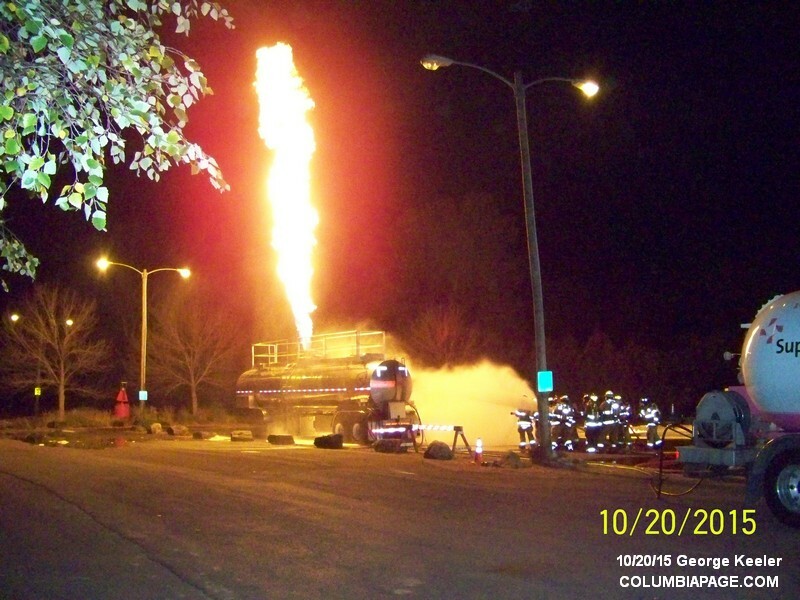 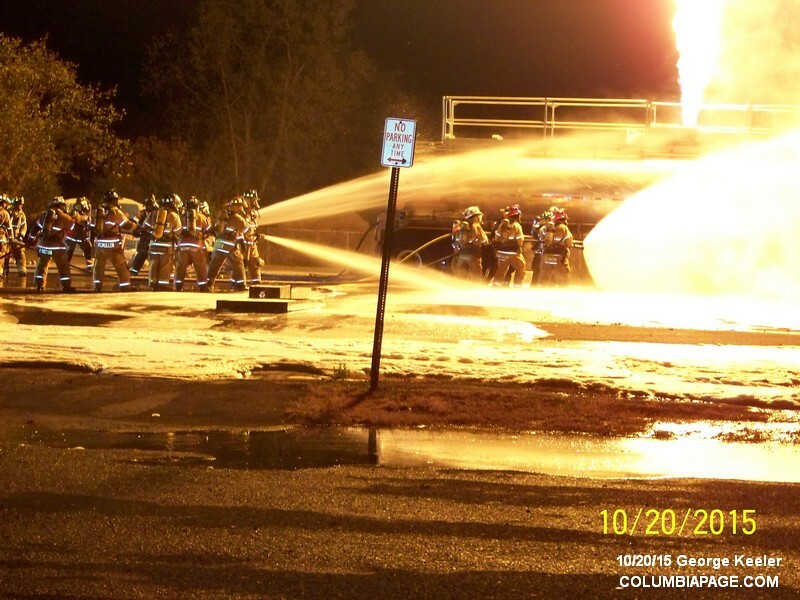 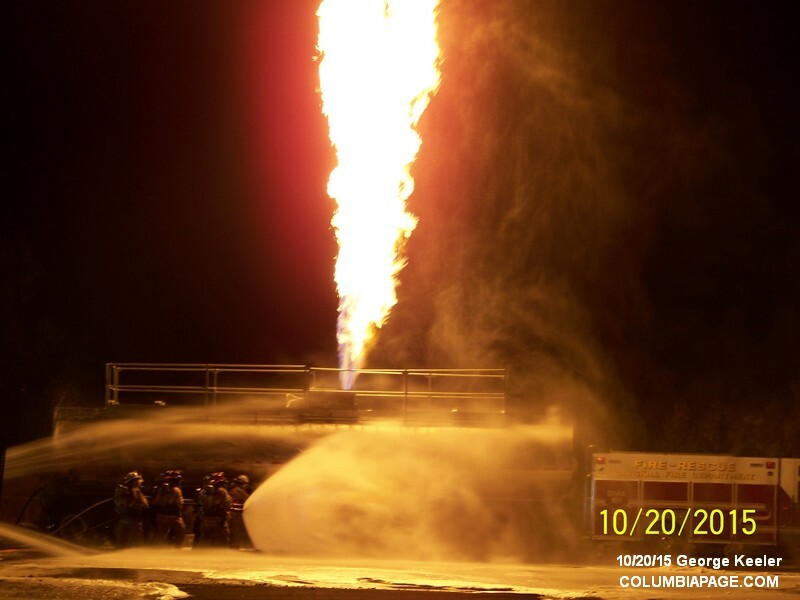 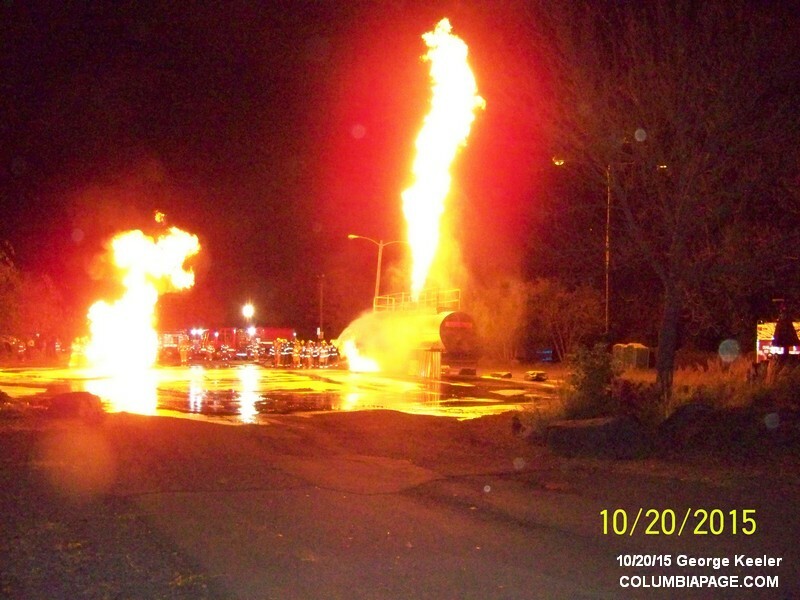 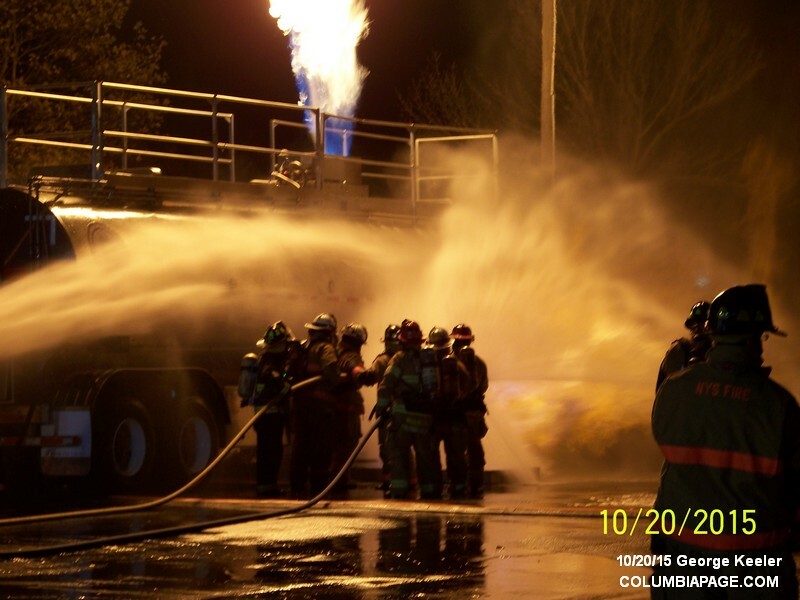 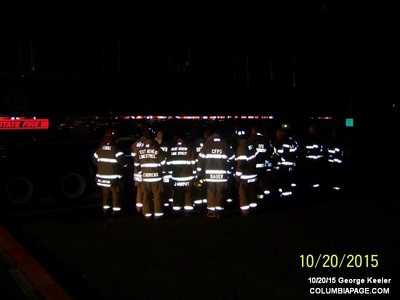 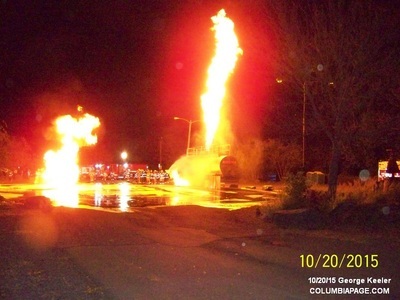 During live fire evolutions, foam handlines were set up and employed for a leaking and burning tank truck.